Let me be a religious columnist for a major newspaper! You don’t have to be a religious believer to do your job well. But aren’t you obliged to know something about the religion about which you’re conversing? If so, how could you possibly write the following paragraph without citing even a single fan who “seriously” believes it? There are a lot of fans out there who believe that Tim Tebow may be the Second Coming of Jesus Christ. I’m serious. It could be that Sally Quinn is “serious” that some fans believe, in a figurative way, that Tim Tebow is the Second Coming of Jesus Christ—which is another way of saying that some fans think that Tim Tebow is doing remarkable things on the football field. Or does she imagine that the people wearing Tebow’s jersey with “Jesus” on back really believe that he’s Jesus? That can’t be it, but then why bother writing a column about it at all? 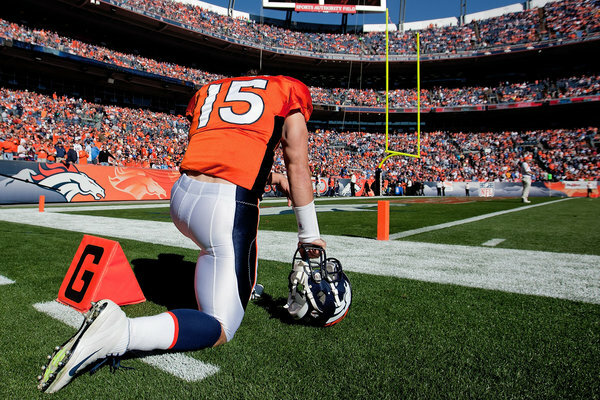 How is it interesting or newsworthy that many Denver Broncos fans like Tim Tebow? In other breaking news, water is wet. No, she even called some of her Bible scholar friends and asked them what they thought about it. She must believe that some people literally believe that Tebow is Jesus, but who? Where? How many? Certainly not “a lot,” right? Still, since there are always people who believe nutty things, I wouldn’t be surprised if a tiny subset of them believe that Tebow is Jesus. It still wouldn’t be worthy of a column, but they could be out there. If so, Quinn doesn’t bother to find them. Would that be too much like work? The entire column is space-filling drivel. I assume the Washington Post pays Sally Quinn to write this column. So my question is: Can I have her job? I can do it on the side. As far as I can tell, it is the easiest job in America. I’m preaching Matthew 2:1-12, the traditional Epiphany gospel text, this Sunday, which is Epiphany Sunday. 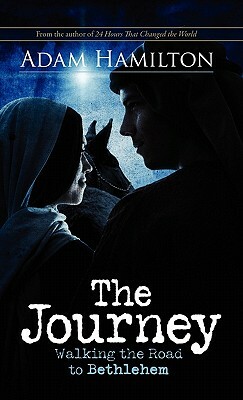 This will be the fifth and final part of our “Journey to Bethlehem” series. There is another way as well in which this story points ahead to the climax of the gospel. Jesus will finally come face to face with the representative of the world’s greatest king—Pilate, Caesar’s subordinate. Pilate will have rather different gifts to give him, though he, too, is warned by a dream not to do anything to him (27.19). His soldiers are the first Gentiles since the Magi to call Jesus ‘king of the Jews’ (27.29), but the crown they give him is made of thorns, and his throne is a cross. 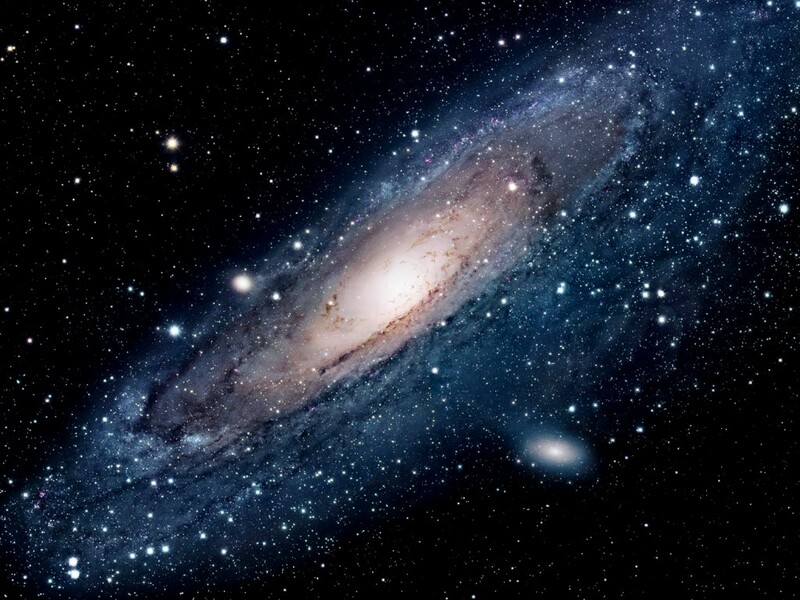 At that moment, instead of a bright star, there will be an unearthly darkness (27.45), out of which we shall hear a single Gentile voice: yes, he really was God’s son (27.54). † N.T. Wright, Matthew for Everyone (Louisville, KY: WJK, 2004), 12.
Who wants to be “laid aside” for God? As you can see, there’s a strong emphasis on God’s sovereignty, which might make us uncomfortable. What would it mean, after all, for us to “have nothing” or to be “laid aside” or “brought low” for God? Do you really want to find out? If these things happened to us, we might be tempted to imagine that God were punishing us or that God didn’t care for us. Not so, this prayer says. It also challenges us to resist the temptation to imagine God as some fretful grandfatherly figure, who may not like what’s going on in the world but isn’t powerful enough to do anything about it. It assumes that what God wants will not be frustrated by human sin or naturally occurring events. This is a hard prayer to pray, but it seems exactly right to me. May God teach us to pray it and live in this year ahead. I should qualify that heading by saying there’s about a 1 in 365 chance he was born on December 25. Still, as you probably know, that the church chose December 25 to celebrate Christ’s birth wasn’t arbitrary. Under the old Julian calendar, it marked the winter solstice, the longest night of the year. For the next six months following the winter solstice, each day will be marked by progressively more daylight. Many believe that when Christians in the fourth century settled on a date to celebrate the birth of Jesus, they chose the date not because it was a pagan holiday, but because the heavens themselves declared at this time the truth of the gospel. The winter solstice represented astronomically what John’s Gspel proclaimed was happening spiritually in the birth of Jesus Christ. Just as darkness was defeated by light, so in Jesus, God’s light would defeat the darkness of sin and death. I preached the following sermon yesterday for our Christmas Day service at AFUMC. Enjoy! Audio of the sermon is found here. Stephanie Newton and the Vinebranch band share beautiful a cappella Christmas carols. Last Sunday, the Vinebranch band sang Christmas carols before the service. Here are some high quality mp3s of their performance. And here’s an iPhone movie of the same performance. Enjoy! 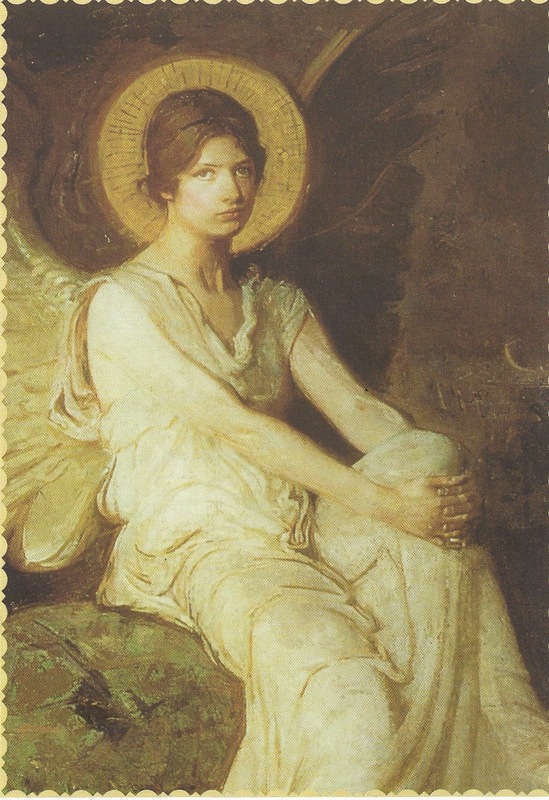 This beautiful angel was printed on a Christmas card I received this year. Who painted her? I love her ambiguous expression. The following is my pastoral prayer from our Christmas Eve services. Almighty God, our light shining in the darkness: we give you our thanks and praise that the light of your love came into the world in the person of your Son Jesus—God from God, light from light, true God from true God. Through your Son you created everything that is, seen and unseen; through your Son you gave us life; and through your Son you gave eternal life to all who would believe in him. This is good news. Indeed, this is “good news of great joy,” the best news of all. Humble us, like those shepherds abiding in the field. We have nothing to offer you; we possess nothing that you need; we have no gift to give you that pays you back for the gift that you give us. We are poor beggars standing in need of your mercy, forgiveness, and grace. And yet, you brought your good news to us; you invited us to celebrate your coming; you made a way for us to become your children. Christians often fight with one another about the Bible—especially the nature of its authority. And, by all means, the Bible is worth fighting about! 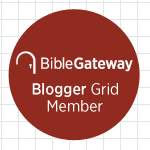 It is and should be our primary source of authority to guide Christian doctrine and living. Moreover, when we read the Bible rightly, the Holy Spirit himself meets us in the reading and enables an encounter with the divine. Reading the Bible is potentially nothing less than a supernatural event. So when we argue about what scripture is, what it means, and why it matters, the stakes couldn’t be higher. The following excerpt from one of C.S. Lewis’s letters hardly settles all disputes, but it does offer a necessary but little emphasized perspective: The Word of God is literally Jesus Christ. The Bible is the Word of God in a figurative but powerful sense: it points us to the Word who is Jesus. † C.S. 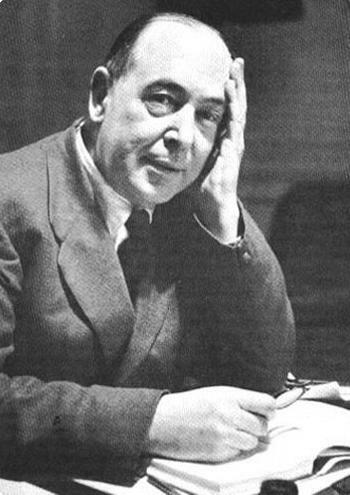 Lewis in “And the Word Was God,” The C.S. Lewis Bible, NRSV (New York: HarperOne, 2010), 1188. 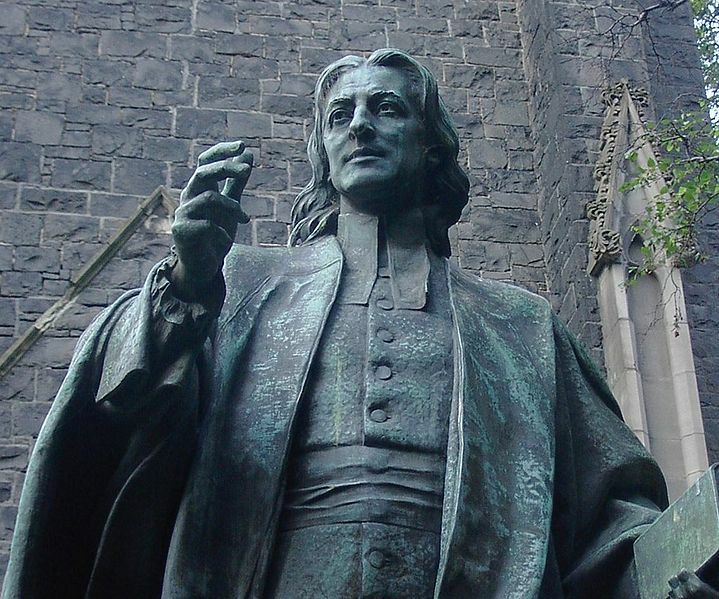 For theology geeks only: Have you noticed how mainline Protestant commentaries sometimes sound as if the project of Christianity were to make the whole world like Sweden, minus—one hopes—all the atheism? These commentators (I’m referring at the moment to Feasting on the Word, but pick your poison) refer to “justice” so often that they rob the word of meaning. Besides, assuming it were possible to make the world as “just” as they want, we would still have a problem with sin. We would still need Jesus! Pity those poor shepherds abiding in the field! I mean, sure, they found Jesus and all, but they remained poor, homeless, and outcast.